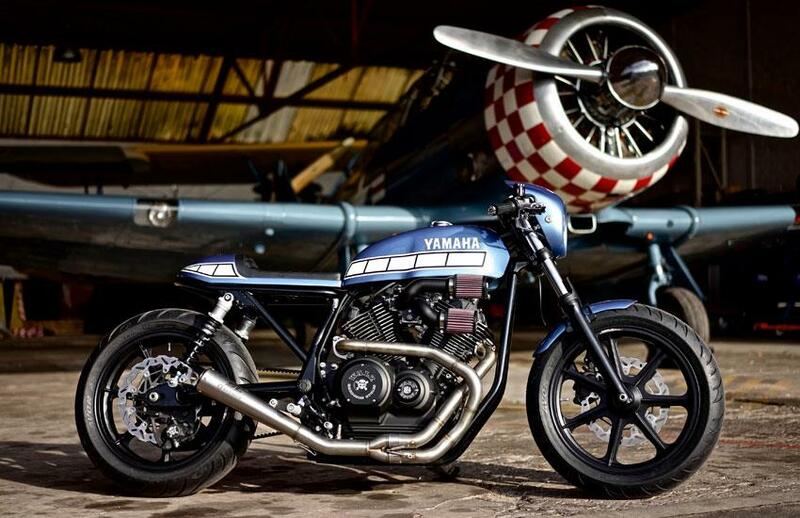 German custom bike builder Marcus Walz has collaborated with Yamaha to deliver the latest bike in their Yard Built series of customized specials. 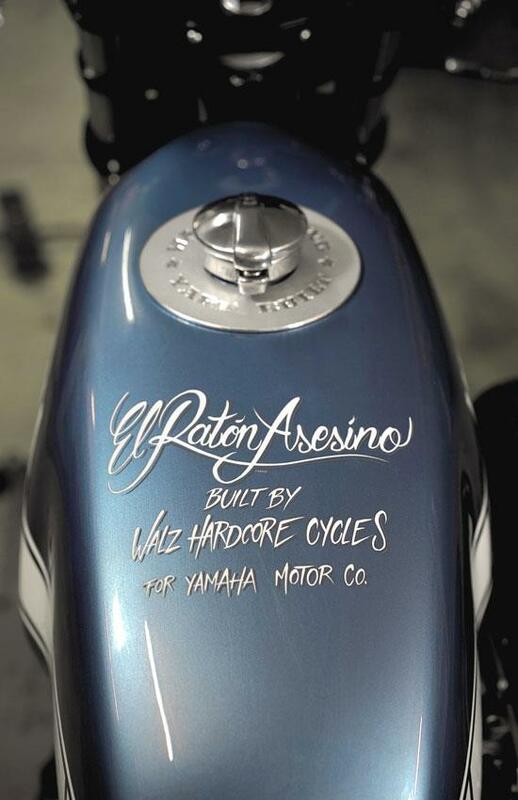 Based on the firm’s XV950, the bike – dubbed ‘El Ratón Asesino’ – is inspired by racing Yamahas from the seventies, when riders like Kenny Roberts Jr. imprinted Yamaha’s speed block design into the brand’s identity. Walz transformed the rear end of the XV950 to develop a classic café racer line by modifying the standard swing arm and building a custom rear sub frame from scratch. Mini LED units are integrated into the rear frame in place of the standard tail-lights. 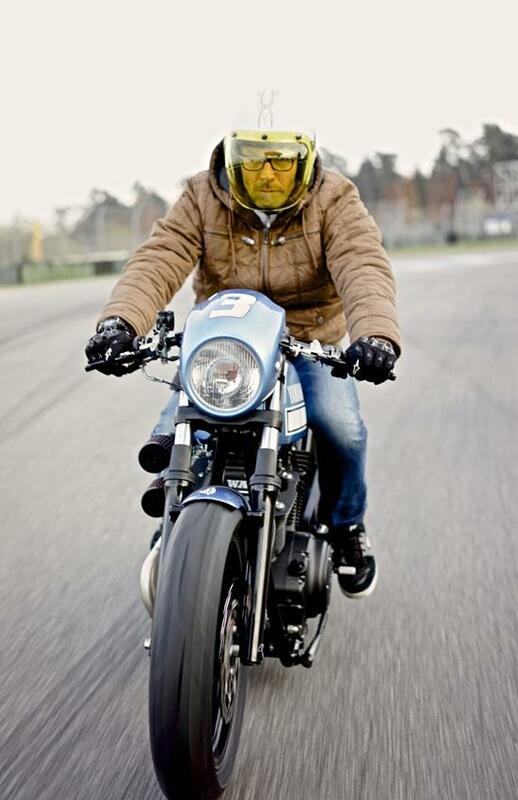 A hand shaped fuel tank with Monza style filler cap was added at the front along with a custom designed headlamp cowling and a one-off custom tail unit topped with a hand stitched leather seat. 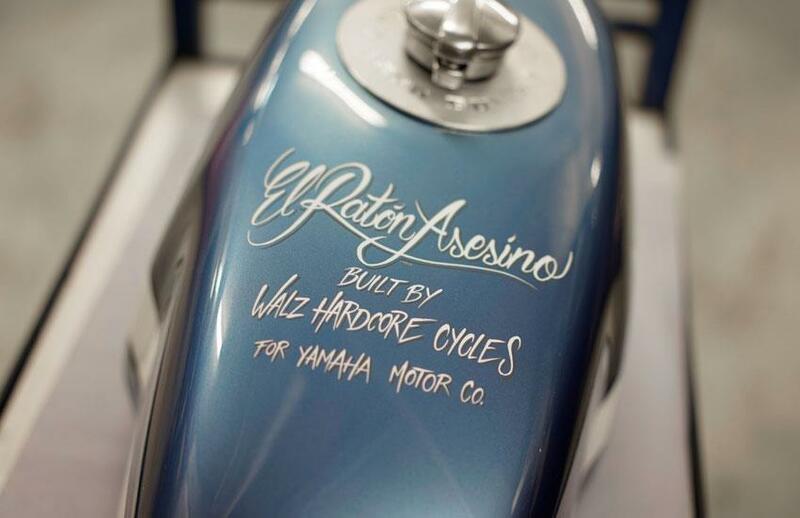 The front fender is custom made in-house, as is the bracket holding it. The front-end is modified and lowered, and uses progressive fork springs whilst the rear gets fully adjustable Öhlins shocks. The wheels are hand-cast magnesium wheels prototypes by Marvic, with custom adapters made in house. LSL clip-on bars replace the handlebars, and house a quick throttle, custom switchgear, LSL master cylinder and LSL adjustable clutch and brake levers all topped off with custom bar-ends. The clocks are replaced with a Moto Gadget ‘Tiny’ tachometer, and there are custom cylinder-head plates and engine casings, and a custom manifold feeding an SC-Project exhaust. 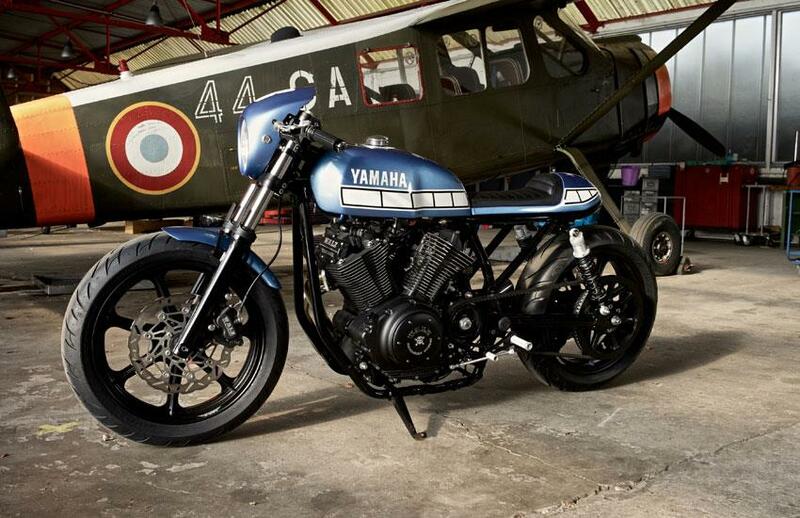 See it on the Yamaha stand at Motorcycle Live until November 30.